LASSCO Will Be Hosting A Series Of Guest Speakers On the History Of Design And Architecture At Brunswick House. 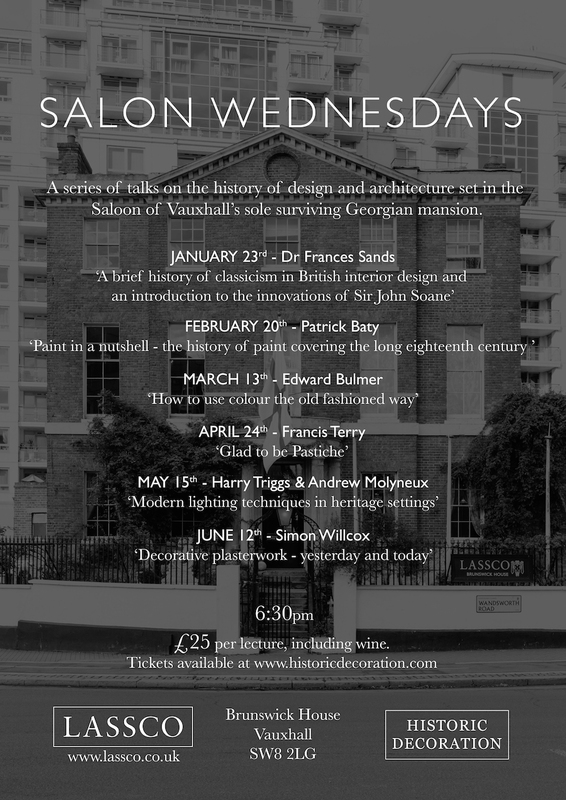 Following the success of our first evening lecture series, LASSCO and Historic Decoration are delighted to announce the second offering of Salon Wednesdays. After an autumnal hiatus we begin again in January; the fire will be lit and again our expert lecturers will be speaking on a broad range of topics relating to the History of Design and Architecture. Ask questions, meet kindred spirits, enjoy our shop by candlelight, bring friends, stay for dinner in our celebrated restaurant– choose from a selection of successive talks, brought in association with our friends at Historic Decoration. 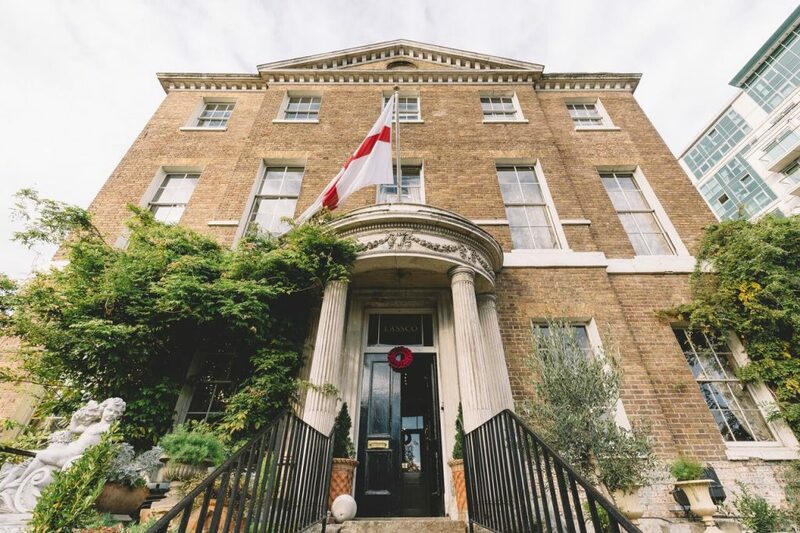 We look forward to welcoming all to Brunswick House – our fabulous Georgian mansion – for what promises to be an entertaining, fun and educational evening out. This series we welcome Dr Frances Sands, Patrick Baty, Edward Bulmer, Francis Terry, Simon Willcox, Harry Triggs & Andrew Molyneux, all leaders in their respective fields and each with a fascinating talk lined up. Tickets are £25 for each lecture and include wine. Post-lecture sustenance can be sought at our celebrated restaurant, Brunswick House, in the Concert Hall adjacent. 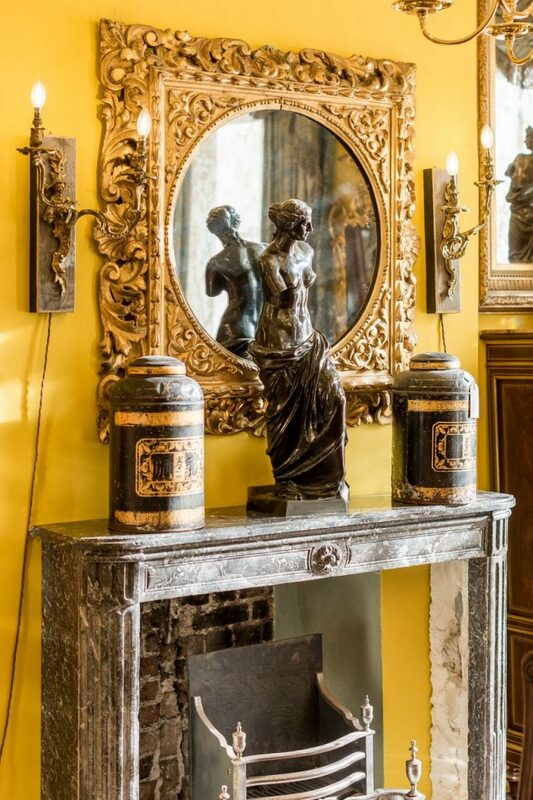 Through a brief history of classicism in British interior design, Dr Frances Sands will explore the origins and evolution of the differing forms of classical design, as well as considering which specific decorative vocabularies belong to which era. Francis Terry is the next generation of a new classical dynasty. He will explain his own motives for using the classical style, its successes, challenges and benefits. Lighting can make or break an interior design concept. TM Lighting will explore light effects for the historic interior, as well as giving useful tips on general fine lighting. Simon Willcox will explore the uses of decorative plasterwork through the ages and explain its exciting uses today.